See the November 2011 edition of Model Railroad Hobbyist eZine for an article on kitbashing a Central Valley through truss bridge. 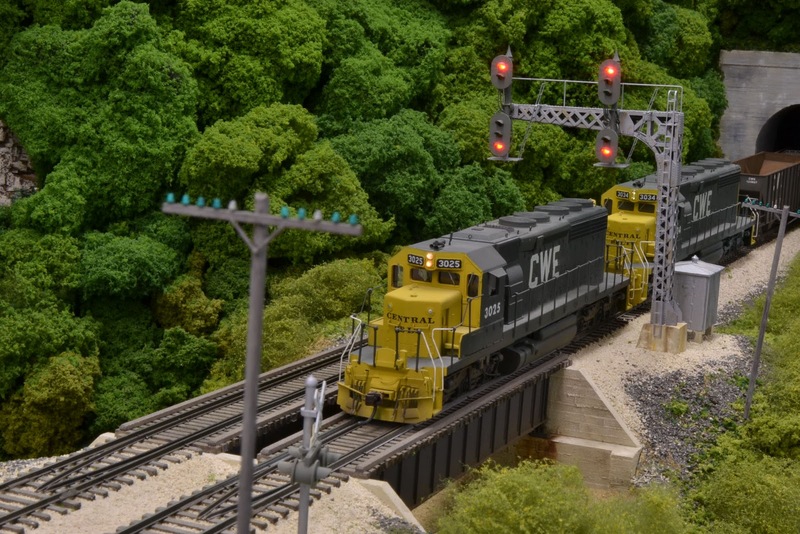 Here's the cover and the link to the magazine:http://model-railroad-hobbyist.com/magazine/mrh-2011-11-nov. 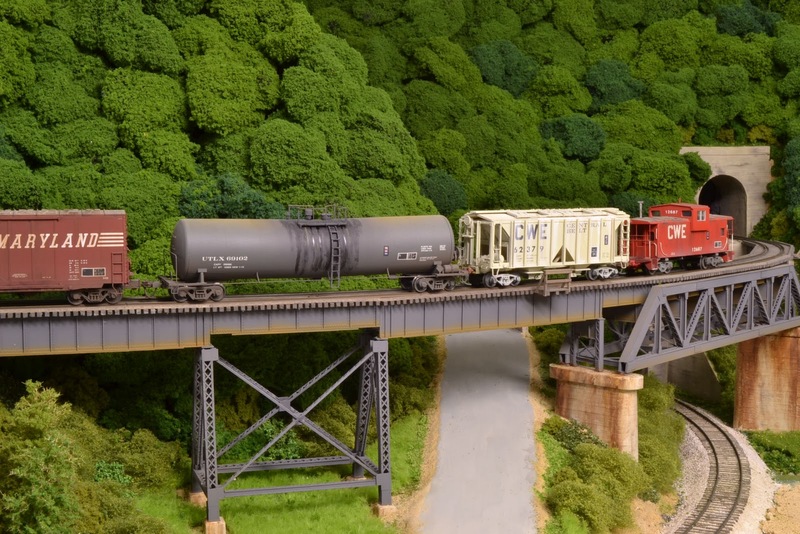 This bridge carries the main line on a 2.5%grade up from Big Chimney, West Virginia to Cedar Falls Junction, where the Sand Fork Branch leaves the main to serve mines on the branch. 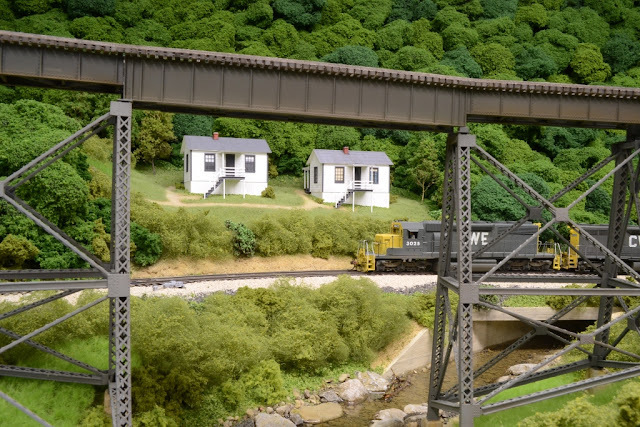 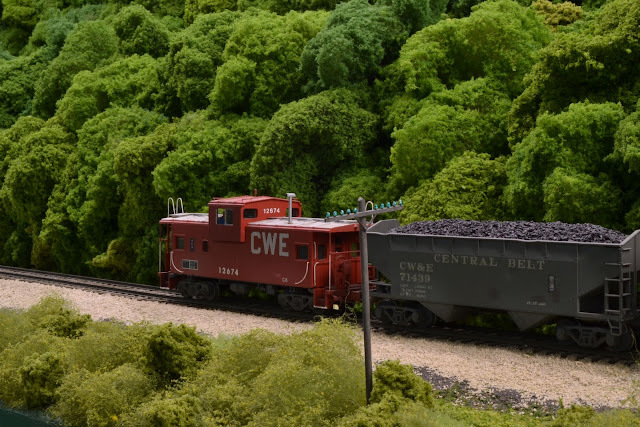 The Chesapeake, Wheeling and Erie Railroad is an HO scale layout representing a free-lanced, coal hauling railroad set in West Virginia in the mid-1970's. My goal here is to share some of the background of the railroad, talk about various aspects of construction and document progress on the layout over time. 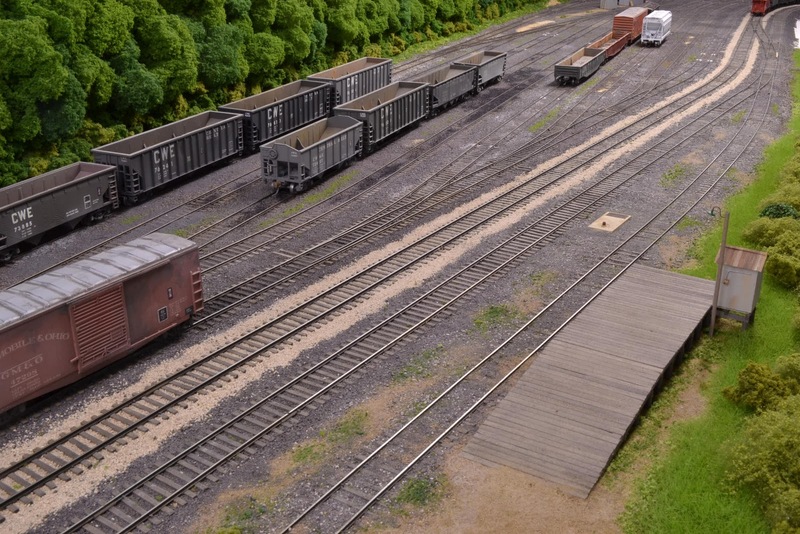 Let's start with some pictures.